When big flowers bloom, little flowers shine! The flower doll Little Series is a new series of cute Little flower dolls. 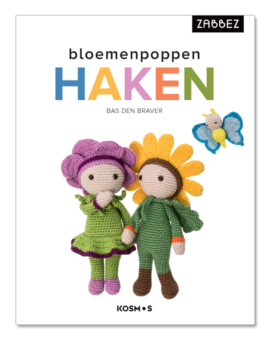 They appear in the Dutch book Bloemenpoppen Haken that is available in Dutch bookstores and online crochet websites. The series was specially made for the book and contains numerous little versions of the famous larger flower dolls. Also several new little flower doll designs were added and a few extras like a butterfly and a bee to make the flower garden complete. A collection of cute and colorful flower dolls that will definitely bring a smile to your face. Several of the Little flower dolls will also be made available through the website over time. Be sure to crochet them all! Get the Little Series as a book in your language too? Help the book go international! The world of book publishing is very different from how I normally share my patterns with all of you. For this book I teamed up with a Dutch publisher and therefore this book is currently only available in Dutch language. They will do their best to get foreign publishers interested to share the book with all of you abroad too. 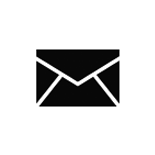 You can help convince foreign publishers! All you need to do is take any crochet book in your native language and look in the index for your local publisher’s contact details. Email them and tell them you would love for them to publish this book in your country too. That’s all they need to know. Thank you for helping!